Cartoon business man are running after a light bulb. Flat design, vector illustration. 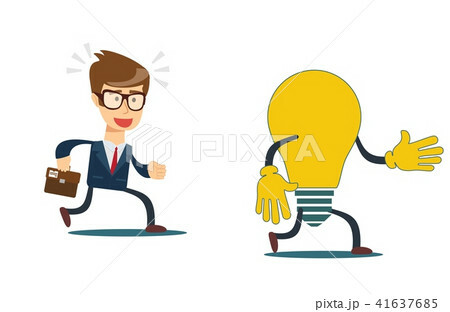 イラスト素材: Cartoon business man are running after a light bulb. Flat design, vector illustration. Concept of idea. Cartoon business man are running after a light bulb. Flat design, vector illustration.